Huge thanks to my friends from First Second Books / Macmillan International for letting me host a blog tour for this and sending me a review copy in exchange for an honest review. This did not, in any way, affect my overall opinion of the book and/or the story. Baking and gay boys. That’s it. That’s the review… Naaah, I’m just messing with y’all! Bloom has been on my radar ever since I read Check, Please! : Book 1: #Hockey by Ngozi Ukazu. I saw it on Twitter plenty of times, and after a quick Goodreads search, I knew I was sold! As a graduate of Hotel & Restaurant Management, and an innate foodie who loves to bake, I can’t help but feel like this entire book was written, I don’t know… FOR ME! I seriously didn’t think I needed this graphic novel until after I discovered it on Book Twitter. 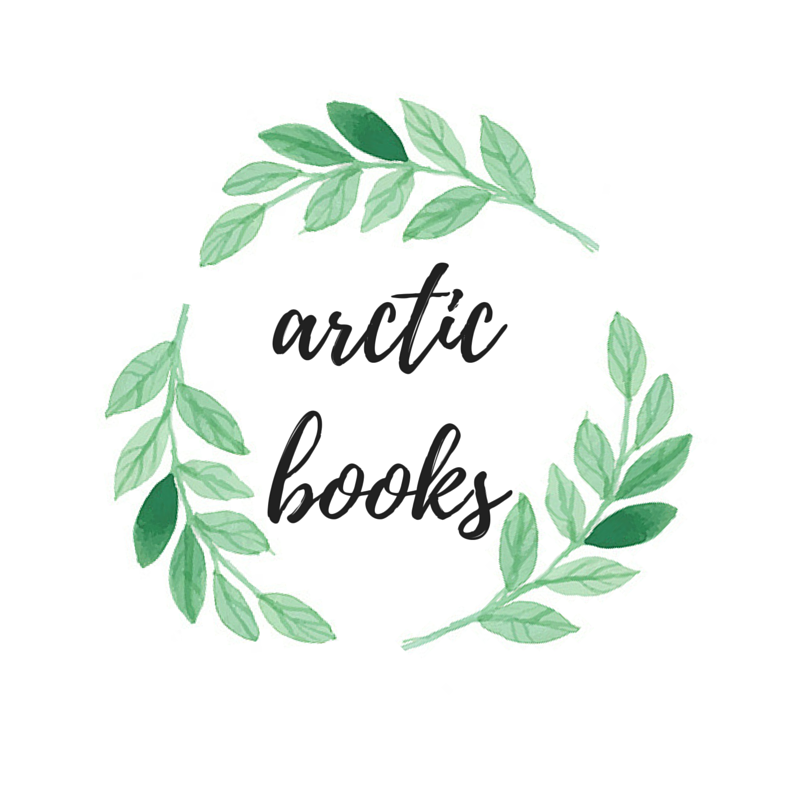 And I’m so #blessed to have been given the chance to not only read it in advance, but also share it with the rest of the world through this blog tour as sponsored by the lovely people from Macmillan International and First Second Books. So go ahead and read my review for this delectable comic. 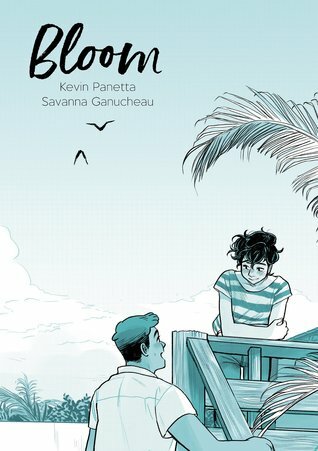 Bloom is a two-toned comic / graphic novel about Ari Kyrkos, a teenage boy who works at their family bakery who dreams of making a career out of making music with his friends. The bakery isn’t doing so well in terms of it’s finances for quite some time now, and so in order to put his plans into motion, Ari must find his replacement asap. Enter Hector Galea, a culinary student with a gift for baking who’s in town after hearing the news of his grandmother’s passing. The two meet, and later on finds that they bring out the best in each other in so many ways. Ari is a stubborn main character and I honestly can’t believe just how much I related to him. He’s short-tempered, he’s gloomy, and at first, he cared so little for their family business and during the first few pages of the comic, I honestly thought that I won’t connect with him on a personal level. But as the story went on, and as I discovered more about him and his family background, I slowly found myself feeling and rooting for Ari. I understood why he dreamt about so many things, and I also get why he didn’t want to manage their small-town bakeshop. I know the feeling of wanting to get away from a specific place that feels comforting and suffocating at the same time, and so in the end, I absolutely felt like Ari redeemed himself, to me at least. He reminds me of a version of myself that I tried to bury and forget about and so going on this journey with him really did tug on my heartstrings. The romance was slow-burn and I wouldn’t have had it any other way! I’d like to dare say that it even bordered on enemies to lovers but I can’t help but feel like it was entirely one-way—at least in Ari’s perspective. Ari and Hector’s love story moved me in a lot of ways, again, mainly because of how much I related to it, and I’m sure lots of other readers will too. And the way they brought out the best in each other really warmed my heart and completely made me giddy for almost the entire second half of the story. Their banter was also pretty amusing for a love story, and I found myself smiling as I turned every single page of this graphic novel. And to be quite honest, I came for this certain aspect. GIVE ME A CUTE, SAPPY HEA (Happy Ever After), OR GIVE ME DEATH. And last but certainly not the least, I also enjoyed reading through the heartfelt family and friendship dynamics found within the pages of this comic. I think I’ve said this on almost all of my reviews for contemporary novels, but I can’t stress enough just how important it is for me for a story to feature a healthy family / friendship set-up. As of the moment, I have zero tolerance for stories that disregard this certain aspect—unless, of course, it’s part of the major plot of the story—and so to see this play such a huge part in Ari and Hector’s story certainly made me quite impressed. Ari’s parents are so family-oriented, they actually remind me of a typical Filipino family, and Hector’s supportive friends make me want to be a better version of myself so I can show my friends just how much I support them too. The world needs these kinds of stories, and readers deserve to read about these endearing and relatable characters. Have YOU read Bloom yet? How was it for you? Let me know what you thought down below in the comments section! And if you haven’t checked this out yet, be sure to grab yourself a copy as soon as possible! And before you go, I would love it if you could check out the other posts published for this blog tour! My participants came up with A++ quality content about Bloom! From playlists, to aesthetic boards, I’m 100% sure we (they) will be able to convince you to pick this book up! Kevin Panetta is a Washington, DC based comic book and graphic novel writer. He has written licensed children’s comics from Boom! Studios. His first creator-owned series, Zodiac Starforce, debuted from Dark Horse Comics in August 2015.